In the short time since its inception, the ladies of the AMIE & KRISTEN SHOW have garnered a nice little following and high praise for their organic, rooted-in-the-now playing style. 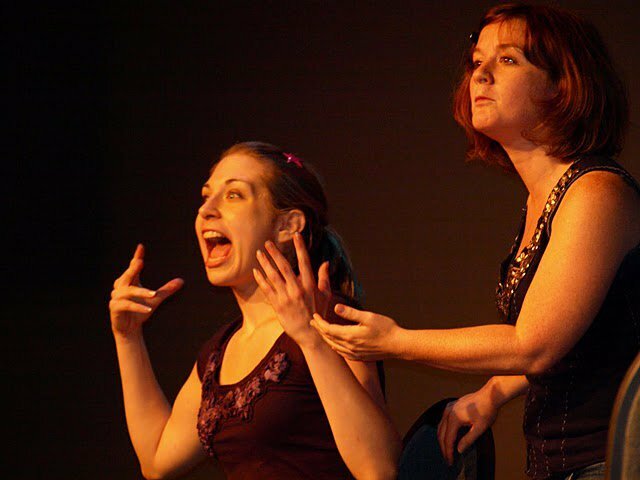 After cutting their teeth playing around the East Coast, AMIE ROE and KRISTEN SCHIER are now westbound… for the SEATTLE FESTIVAL OF IMPROVISED THEATER (SFIT). I had a chance to chat with the ladies about tonight’s fundraiser and their impending trip. 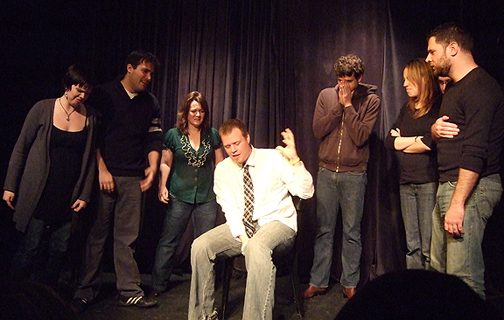 PHILLYIMPROV: With both A&KS and MattAnd performing at SFIT, this is the first time Philadelphia has been represented there. What are you looking forward to? AMIE ROE: Wearing flannel shirts and listening to grunge! They still do that there, right? KRISTEN SCHIER: We’re proud to be a selection… Mostly looking forward to going to the fest for the first time. I know only a few of the acts, and if they are any indication the festival will be a lot to watch and learn from. PI: What about your show are you most excited to share with audiences? AR: …bring a tiny piece of the amazing improv and comedy scene that’s developing here in Philadelphia to another city. It’s an honor whenever you’re selected to appear in any festival, and a real privilege to be an ambassador for Philly comedy. KS: And have a blast doing our girlish romp of a show! PI: Anything you can share about tonight’s show? KS: (Tonight) is about being thankful for anyone who is willing to come and see our show… Any money we raise will be received with much graditude. AR: We’re going to look really hot. I’ve been running a bunch and exfoliating… plus I got a hair cut two weeks ago, and I know my girl Kristen has been rocking the WiiFit. KS: It’s about showing of some of Philly’s newest improv acts. AR: We’ll be joined on stage by Medic, a collection of some of the most talented PHIT house team members, and Iron Lung, a brand new team that formed out of a PHIT level 201 class that I just taught. KS: Iron Lung and Medic will be fantabulous! The Amie & Kristen Show (Fantabulous) Fun-draiser Show begins tonight (2/11) at 10PM at the Actors Center, 257 N Third St. Tickets are $10 at the door. Additional information available here.